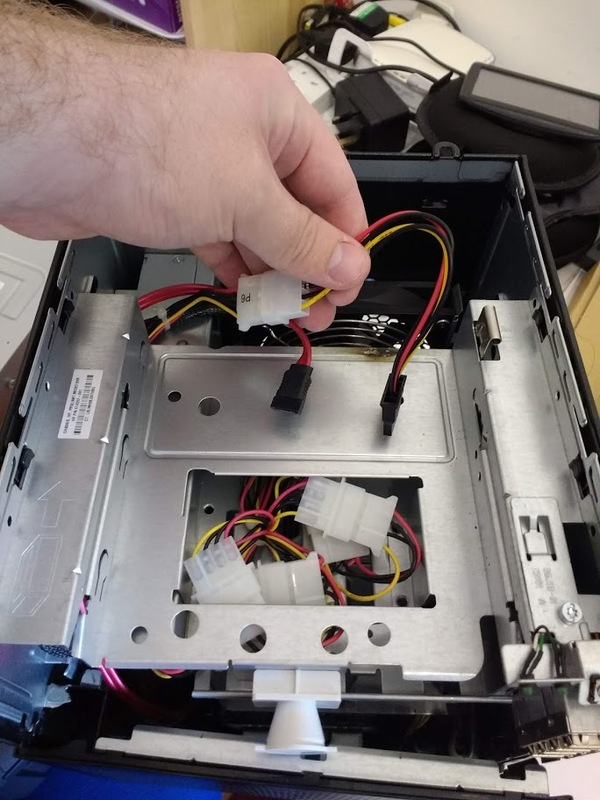 After removing the top, I saw the opportunity to take the CD drive out, and I put an old 64GB Samsung SSD in there to act as the boot drive. Now I can use the 4 x 3.5 inch drive bays for just large slow HDDs for that will make up the ZFS pool. I plan to start with 2 new 8TB drives in RAID 1, and then expand the pool later with another 2 mirrored drives. It's great that ZFS lets you do this. 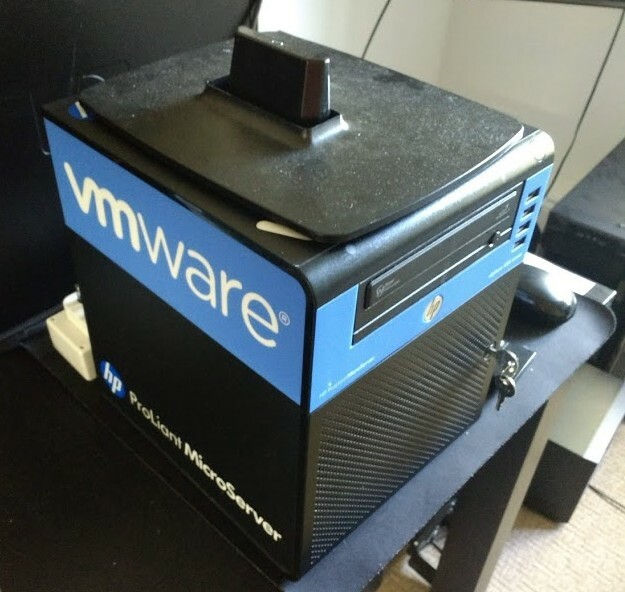 After having swapped out the memory, and removing the CD drive, installing Ubuntu 18.04 over USB, and then installing ZFS was simple and easy. 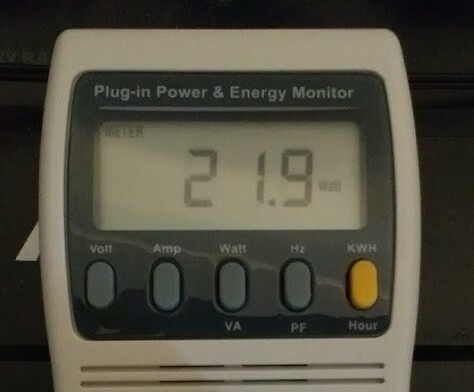 ... before finally settling around 22 watts when idle. 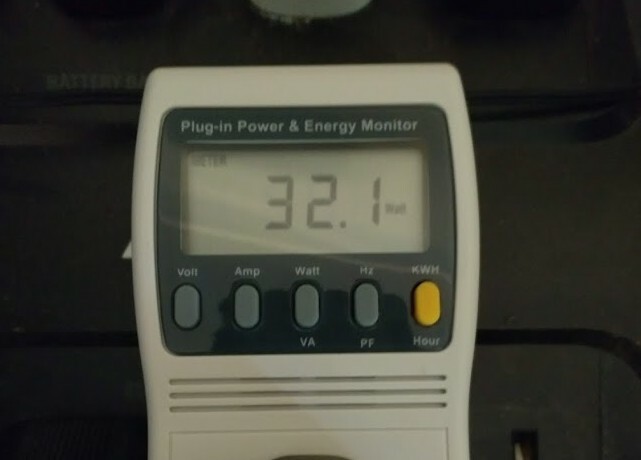 If we assume that the cost of electricity is 13 pence per Kilowatt-hour (it's just under that for me), then I worked out this would result in costing me roughly 25 GBP a year to run 24/7/365. However, power consumption will likely increase after I have plugged in the WD Red 8TB drives that are on their way.